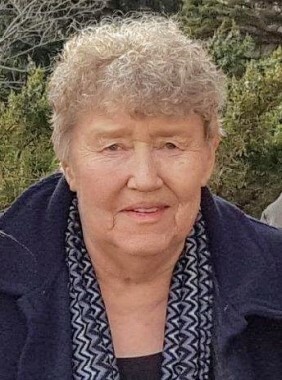 Ila Ross, age 73, of Valley City, ND, died Saturday, January 5, 2019 at her residence. A memorial service will be held at 2:00 PM Thursday, January 10th at St. Paul’s Lutheran Church in Kathryn, ND. Visitation will be held on Wednesday from 5:00 PM until 7:00 PM at the Lerud Mathias Funeral Home and one hour before the service at the church on Thursday afternoon. A prayer service will be held at 7:00 PM Wednesday evening at the funeral home. Ila was born in Valley City on Oct 4th, 1945. The youngest of 3 children born to Edwin & Myrtle (Salberg) Bergseth. She was raised educated in Valley City and Kathryn. Graduating from Kathryn High School in 1963. Ila was united in marriage to Gary Ross on Oct.2nd 1965. They made their home in Valley City for several years before moving to Kathryn. They had 3 wonderful children of their own, but Ila was “Mom” to many others over the years also. Ila held several jobs over the years including bus driver and cook at KHS, tended bar at various locations, was a telemarketer at ACI and a dining aide at The Sheyenne Care Center until her retirement. She made sure that everyone knew that her most rewarding and enjoyable job ever was being a homemaker, Mom and Grandma. Ila enjoyed spending time with family and friends, especially her kids & grandkids. She also enjoyed watching investigative crime shows on TV. Ila is survived by her 3 kids, Roxy (Steve) of West Fargo, ND. Rachel (Danny) Peltier of Valley City, ND Ryan (Kaela) Ross of Jamestown, ND. 7 grandchildren Ashley Falstad Trevor Pederson, Chase and Kolby Ross and Aydin Metzger, Jaydyn and Brooklin Crosby, brother in law Raymond Kurtz and several nieces and nephews. Ila was proceeded in death by her parents, brother Sylvester and sister, Darlene Kurtz.